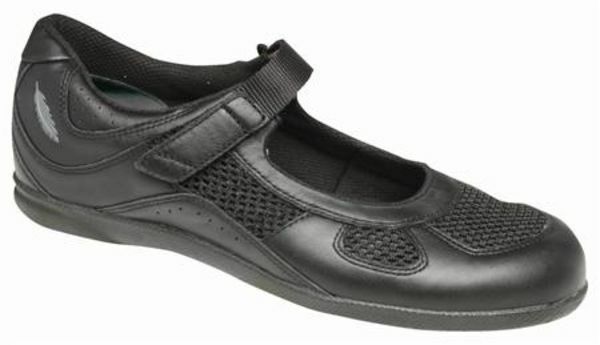 The Drew Delite is our best orthopedic shoes yet! 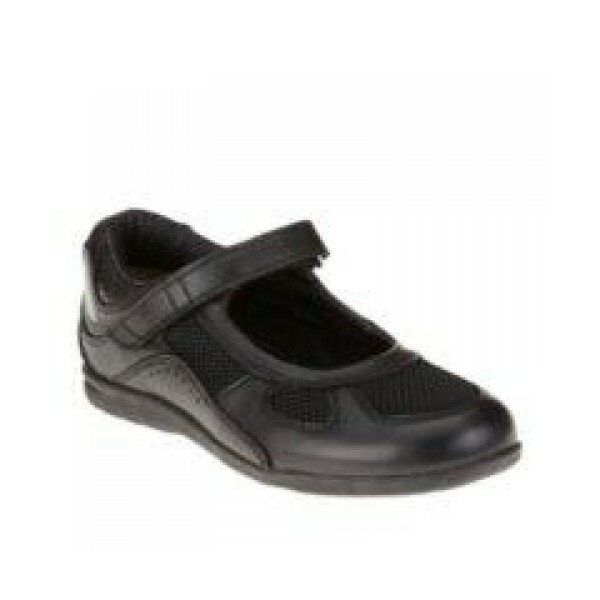 This popular women's shoe offers beautiful, detailed styling with the convenience and comfort of an adjustable Velcro brand closure. 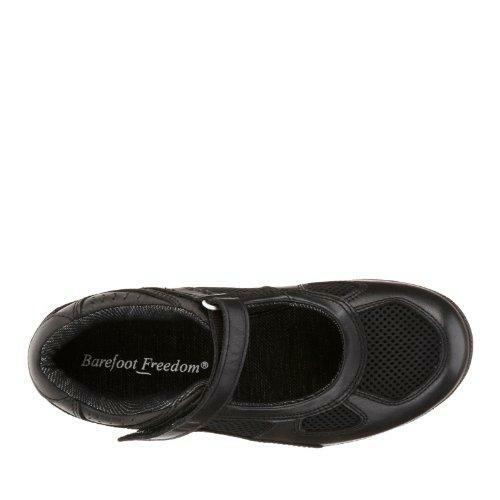 Barefoot Freedom offers soft leathers and breathable mesh while added depth and removable insoles provide added comfort and room for prescribed orthotics. The Drew Delite is the perfect shoe for the woman who wants functional style and sophisticated comfort. Click to see all the Drew Delite colors. Nice Looking Comfortable Mary Jane This is more like a very nice walking shoe than a dress shoe as the heel is thicker for support. The leather is soft. 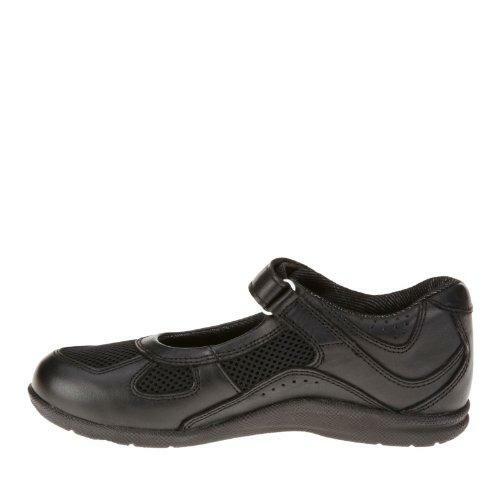 It has a good velcro strap that is not too short so you can tighten it if you like. The shoe has a lot of cushioning and support. 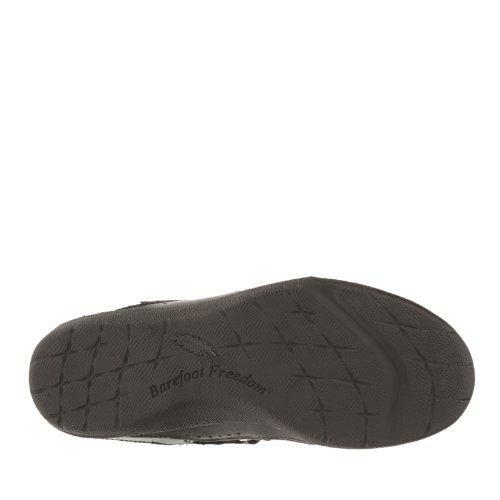 I don't use orthotics, but as the shoe is a bit deep for that purpose, I ordered a (my regular size) medium, size 9, and just added a shoe insert and they fit fine. There is cushioning around the ankle so the back of the shoe won't dig into your ankle like so many shoes do. I have a narrow heel, but these shoes hold my heel in place and it doesn't slip out. Nice looking and good quality shoe. This is my second pair. My feet need much support, so these become my dress shoes WITH the support I need. Advantages: Nice looking even though it’s orthoticslly good for my feet. Plus the mesh over the toes and the toe box leave my feet painfree. Disadvantages: None that I think is a problem. This is the forth pair I've ordered. the only shopes I can wear. Advantages: They a really good that's why I keep ordering them.